The EB Sentinel is a highly asymmetrical and downturned shoe with 2 years of development and testing behind it. 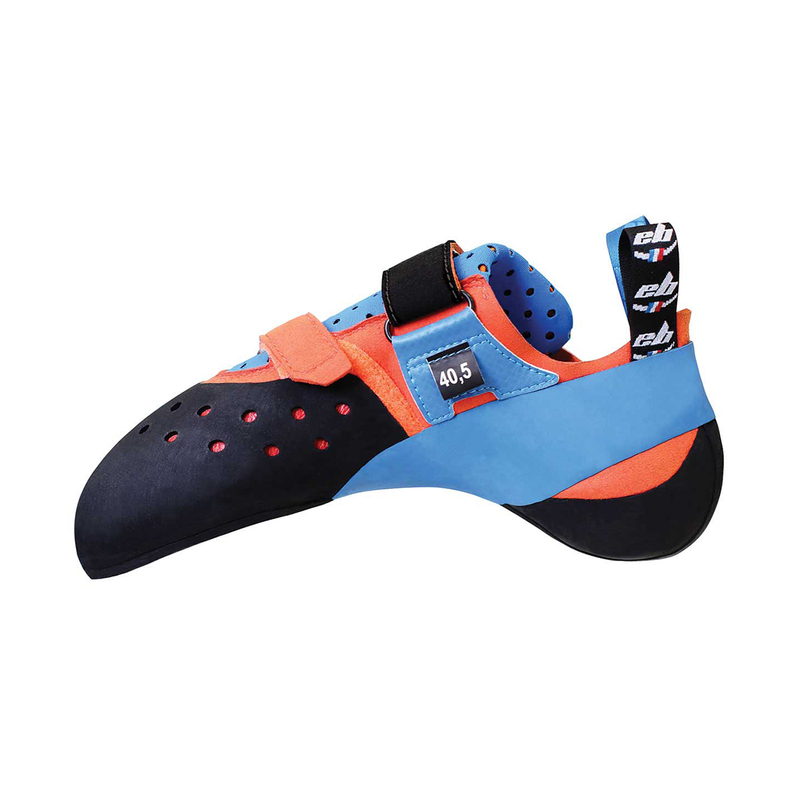 The midsole is very soft, giving it more of a slipper feel than a velcro climbing shoe. 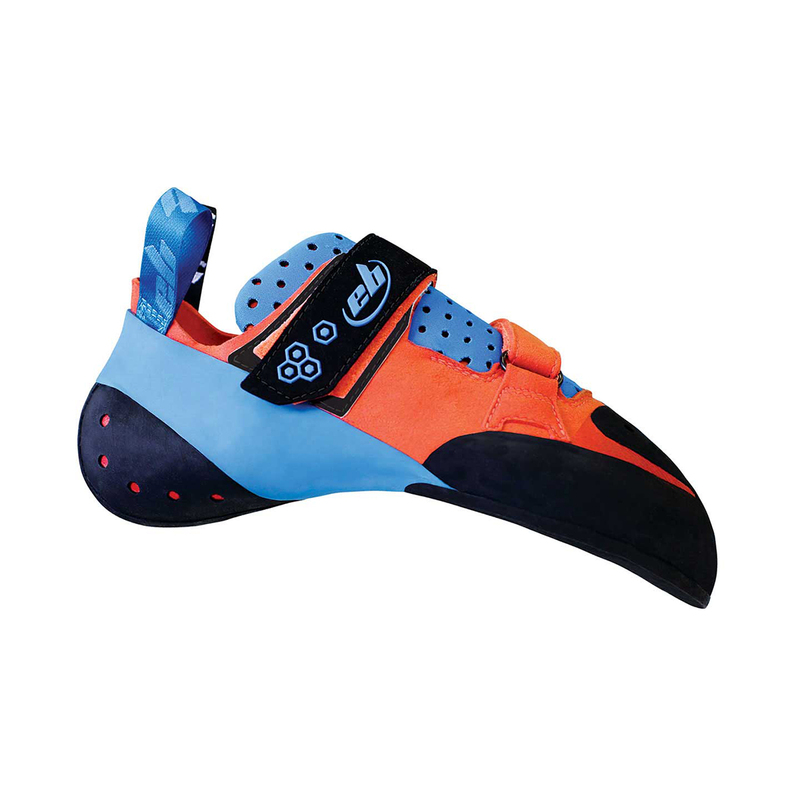 However, the tip of the shoe is reinforced to make it stiffer, providing strength and support on tidy holds and edges. 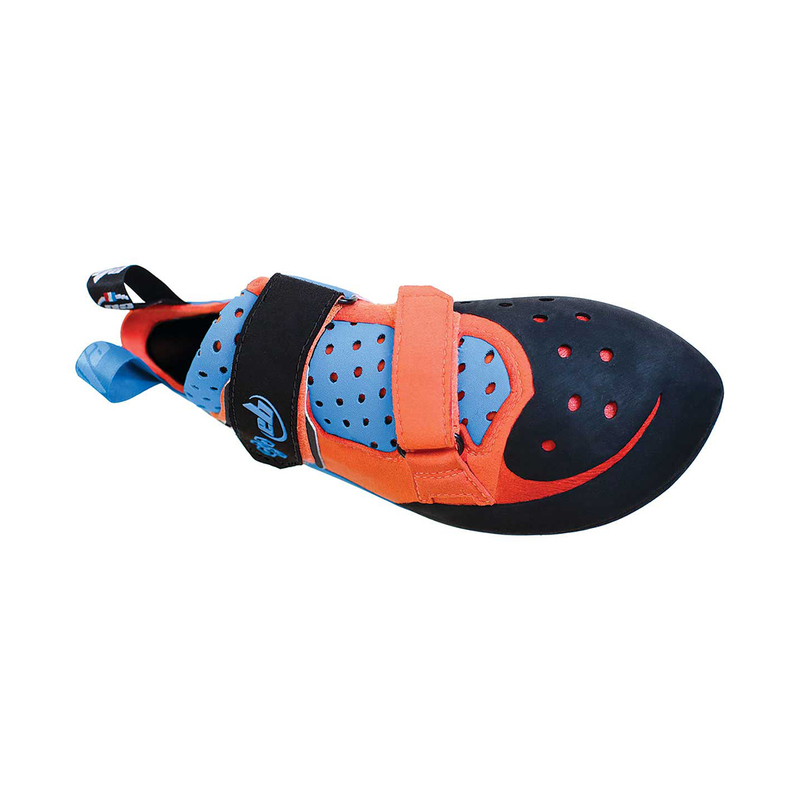 The extra soft heel has been designed to fit all foot shapes, and the EVO Microfibre upper is highly adaptable. The Daytona rubber provides both grip and edging performance. Super balance between agressive profile and confort, the rubber on top is perfect for foothook. Flexibility is exream confortable and you feel fre to move your feets. Even if the finger is blocked(urting a bit: necessary to obtain footholds performance) the foot is not tight in the middle so blood circulate well and is not unconfortable during pitch.